Michele Sharpe is a high school dropout, former trial attorney, adoptee, and hepatitis C survivor who’s taught writing, literature, and critical thinking in New England, Japan, Florida, and Idaho. 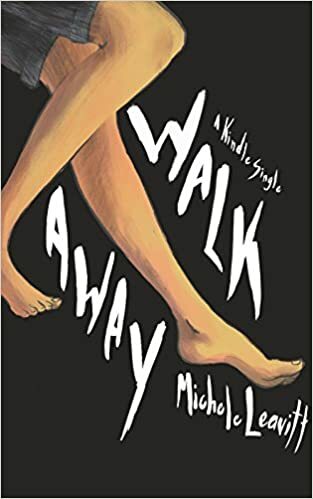 Author of the memoir WALK AWAY (under her previous name, Michele Leavitt), she is also the 2017 winner of the New Millenium Award for Nonfiction. Her work appears in a wide variety of print and online journals, including The Washington Post, Poets & Writers, O, The Oprah Magazine, The Rumpus, Guernica, The North American Review, Sycamore Review, Baltimore Review, and Poet Lore. Michele accepts occasional research, writing, and editing assignments as a freelancer. Contact her at michelejsharpe (at) gmail (dot) com. “Hidden in a Suitcase” was very moving. Addiction is a curse, its impact far reaching. So much pain and suffering. I understand a lot more clearly how families are tied together by the genetics of addiction. I knew and thought I understood this, but your writing has opened it up for me. Alcoholism is all over my family. Over eating, too. Compassion is what I work on, for self and others. We all need loving kindness and the meditation for it (Metta) helps it come about. Best wishes to you and your famiy. So glad you found them. Smoke & Molasses stopped too soon for me. I understand (I think) why it did as Tina is the quintessential storytelling liar, weaving a tale to pull you in. Keeping you hanging. Oh, how I want to follow her, or follow you, that is. Who was Daddy? In one sense, from my own “who (the hell!) was Daddy?” perspective, it doesn’t matter if you know his name or see his picture because he is and will remain an unknown. The type of man who spreads his seed and keeps on going not involving himself in his offsprings’ lives. An emotional zero who is in the room and not, all at once. This story reminds me of my own father whom I knew well and not at all. I want so much more of this story! I found I was uneasy about what might happen, what you would hear. Thank you so much for reading my work! I’m currently completing a book-length memoir manuscript about my reunion with my family, and one of the threads is the “who’s your daddy” question. Also, a “memoirella” (don’t know what else to call it!) about my journey from teenage runaway to trial attorney is in final editing now and scheduled for publication by Kindle Singles this spring. I appeared in an issue of Woven Tale Press just as you did. As you know, WTP’s goal is to spotlight online works that they consider exceptional. As time passes, their impact decreases unless we take action. I just posted your work in WTP on twitter which is set to also go to Facebook. I then shared it with my Facebook friends. I have written a book based on my story “Pinky Swear” that also appeared in WTP. I would greatly appreciate you following the link below to the Table of Contents of my book and clicking on the Facebook button near the top and sharing it with your friends. Great idea, Mike! Thank you.